CNC wood router in processing relief , often used 3D engraving , so the effect is more artistic beauty , but also has a strong sense of three-dimensional 3d , realization of this function is to complete the design of the main tool path and tool selection. CNC wood router in processing relief, often used 3D engraving, so the effect is more artistic beauty, but also has a strong sense of three-dimensional 3d, realization of this function is to complete the design of the main tool path and tool selection, In the design of the tool path, the option to automatically generate the engraving depth change program, with a knife to complete, but sometimes due to the area between the two lines of the pattern is relatively large or relatively thick strokes working place will not, will produce so-called "islands", which requires doing path when appropriate overlap rate increase. CNC wood router engraving software "islands" of processing There are two main processing methods: islands of processing and continuous engraving way. The so-called islanding process, is not working for some of the region to adopt the above mentioned way end milling process. When clear end milling, should define its "overlap percentage." Continuous carving way, refers to the above-mentioned planar milling area as the initial plane, three-dimensional processing to continue. Such depth might actually carved out than the designed depth should be large, but can not exceed the height of the blade plus shank. You can modify the processing at the appropriate angular distance pick, pick the angular distance, a three-dimensional clearance angle processing parameters. When processing large objects, or use a coarse tool, pick the angular distance can increase accordingly. Under normal circumstances, it is recommended to use the default value of 0.1 mm. Pick angular distance is too small, too many times may cause pick angle, affect the actual processing of CNC wood router effect. 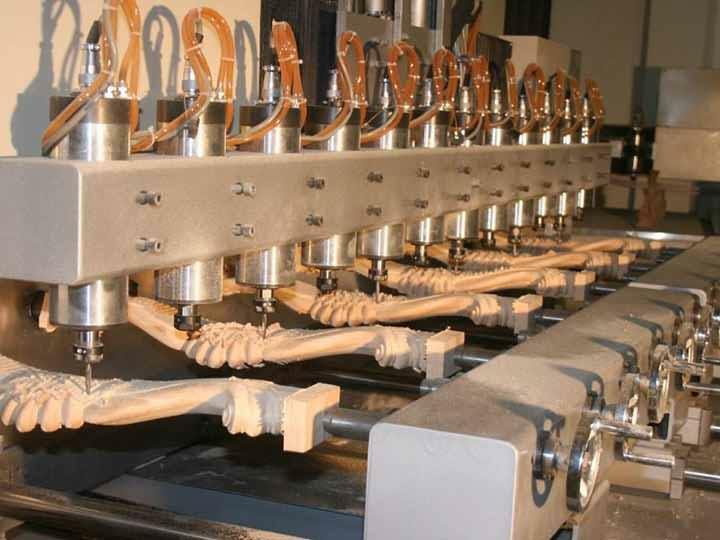 LEADER that, regardless of CNC wood router 3D engraving, or other carving, engraving machine operators are required in the course of continued proficiency, as many have some associated engraving techniques in order to better play woodworking Performance engraving machine. License: The text of "CNC wood router 3D engraving methods and techniques" by STYLECNC is licensed under a Creative Commons Attribution 4.0 International License.